Try searching by Author, ISBN, Title, or Language. Aimsbooks.com is proud to offer an exciting line of educational aids. 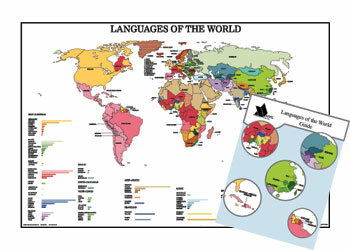 Our newest product the "Languages of the World" chart maps out the various languages spoken around the world with a graph depicting the freqeuncy with which they are spoken. Comes with a guide containing interestings facts and information about the languages used across the earth. We also offer a line of products brought to you by Creative Therapy Associates, Inc. with illustrations by award winning artist Jim Borgman. Available in multiple languages. © 2005 Aims International Books, Inc. All Rights Reserved.